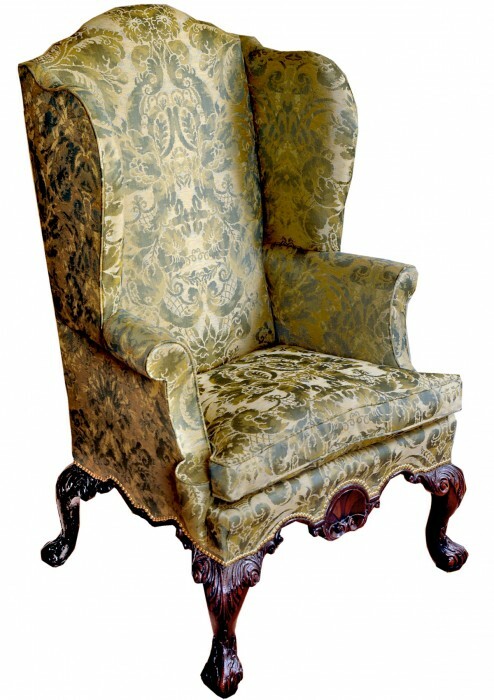 A George II period walnut wing armchair circa 1740. The original frame is upholstered in silk damask. Similar to a chair illustrated plate 86 ‘The Irwin Untermeyer Collection’. 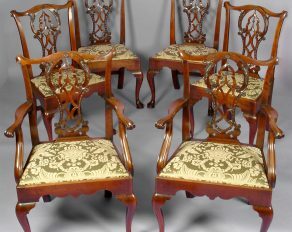 A fine set of six (2 arms and 4 single) mid 18th century mahogany dining chairs.